Few of the entrepreneurs I meet spend sufficient time exploring alternative business models for their products, services, or technologies. Too often I see them fall in love with their initial idea and then they immediately dig deep into spreadsheets and business plan writing. That has a great risk! Failing to explore alternative business models before you choose a direction bears the great risk of getting 'ankered' with an inappropriate, mediocre or even bad business model. It becomes very hard to explore alternative business models when you've refined your first idea too quickly. Of course there's a reason that so many entrepreneurs and intrapreneurs stick to their initial business model idea. Few actually realize that the same product, technology, or service could have very many different business models. Now how could they do a better job to increase their success chances of creating a successful new business (model)? Use the Business Model Canvas Poster to sketch out as many different business models as possible. Don't discuss and decide which business model to sketch out on the Canvas. Do them all! Only then can you have a valuable discussion on what could work or not. Don't spend 60 minutes sketching out an early and unproven model in detail. That hour is better spent by sketching out four to five ideas in a very rough manner. Sketch out each idea on a separate Canvas. For example, use two different Canvases for two very different customer segments. Sketch out diametrically opposed models. For example, ask yourself "what if I offered my product for free..." vs. "what if I offered my product only to the very high-end market..."
In the book we also outline different types of business model prototypses, ranging from the Napkin Sketch to the Business Model Pilot. I hope this convinces at least some entre- and intra-preneurs to spend some more time on their business model rather than on their business plan... Don't fall in love with your idea too quickly! I'm writing this blogpost following another inspiring discussion with Steve Blank. One of the topics we chatted about was how his Customer Development process and the Business Model Canvas fit together. I wrote these ideas down while visiting Steve's K&S ranch - inspired by its beauty, surroundings and amazing view on the Californian coast. 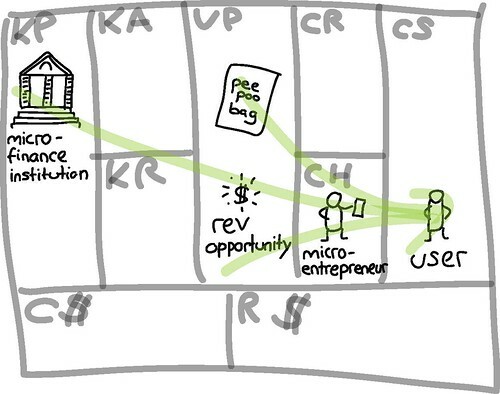 I'll illustrate the ideas with an example from the field of social entrepreneurship. All three phases can be supported by the tools and concepts outlined in Steve's book on Customer Development and our book on Designing Business Models. We provide you the tools to map, design and discuss a business model. Steve provides you the mindset and tools to continuously "test" your model and your assumptions with customers until you find the right business model to scale. 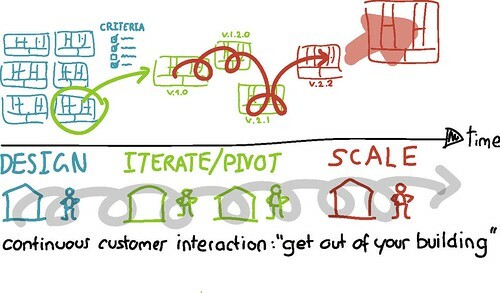 Let me outline the three phases above with a case I often use in my business model innovation workshops. It is an example of a Swedish organization that developed a single-use toilet bag, the Peepoo bag for the so-called Bottom-of-the-Pyramid market of over 2 billion people who lack access to proper sanitation. Peepoople, the company behind the Peepoo bag, is a particularly interesting case because it combines a journey for the right business model with a quest for meaningful impact. No easy task. At this very moment Peepoople is on its search for the right business model: one that is financially viable, and scalable in terms of growth and impact. Now let us look at the three phases outlined above through the lens of the Peepoople case. Many entrepreneurs and intrapreneurs underestimate that a great new technology, product or service can be insufficient to build a successful and sustainable business. Because of their trust in a technology's, product's or service's superiority they fail to spend enough time exploring alternative business models. They often go with the first model they come up with. Yet, entrepreneurial history is littered with great technologies, products and services that bombed. Entrepreneurs and intrapreneurs could greatly improve their success chances by spending more time with searching and finding an empowering business model. 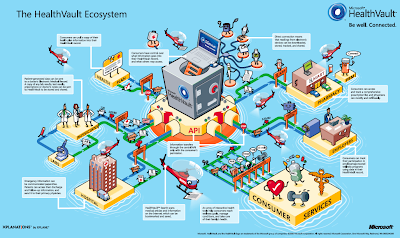 Every technology, product or service can be brought to market by several alternative business models. The challenge is to find the best and most scalable one. Peepoople, for example, has a proven product/technology that works and was tested - the Peepoo bag. However, the company acknowledges that this is only a starting point. The management team knows that it has to think through several possible business models in order to find one that is sustainable AND has a substantial impact. 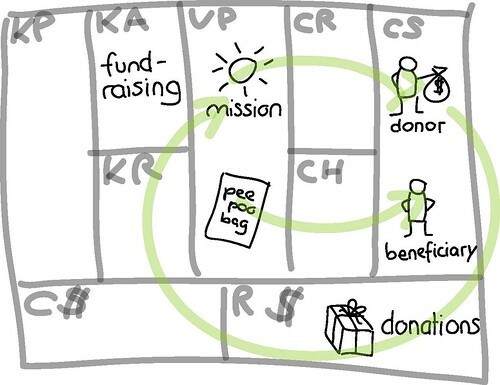 Not-for-Profit Model: Traditionally, an organization like Peepoople would seek donors to fund the distribution of Peepoo bags to beneficiaries. Like myself, the management team of Peepoople doesn't see this as a sustainable business model nor as one that will achieve the most impact. Cross-Subsidy Model: Peepoople could sell the bags to a premium segment (e.g. to hikers in the Swiss Alps, or as military supplies) in order to fund the free distribution of the bags to beneficiaries. Financially this model already looks more robust than the first. Sales/Retail Model: Why not try to sell through traditional retail among the mini-shampoo bottles sold to the BoP market. Sanitation is a basic need and there is already a market for public latrines. Micro-Finance/Micro-Entrepreneurship Model: Another powerful way to bring the bag to the market could be an alliance with a micro-finance institution which would finance micro-entrepreneurs to buy bags. The entrepreneurs would then resell the bags. Licensing/Franchising Model: Peepoople could go down a completely different path and simply license its technology to different institutions. Alternatively, it could build a franchise model to quickly scale its growth. Resource Model (Fertilizer): Fertilizer is a very valuable good in BoP markets. Why not give the bags away and even pay people to bring them back full. Revenues would then be come from selling the fertilizer to farmers. These are just some of the potential business models for the Peepoo bag. Others could include white labeling the technology, building brand alliances (e.g. distribution with mobile phone prepaid cards), advertising on the bags, and many, many more. What is important is to spend some time with quickly mapping out alternative business models before defining the criteria to select the one to go with. Selection criteria can be growth potential, risk, impact, etc. you need to leave guesswork behind and get “outside the building” in order to learn what the high-value customer problems are, what it is about your product that solves these problems, and who specifically are your customer and user. When companies have spent substantial time, effort, and money searching for a business model (e.g. for a new product or service) they are often under the illusion that they nailed it. Yet, a "starting business model" is just that: a starting point - based on a number of assumptions and hypothesis. Even with the most elaborate design phase, the smartest people, and the largest budget, it is pretty rare that entrepreneurs or intrapreneurs immediately get the business model completely right. The Customer Development process assumes that many of the initial assumptions about your business model are probably wrong, which you will find out in the second step of the process, Customer Validation. It is only when you start testing a business model or aspects of it with customers that you will find if your hypothesis were right or wrong. Hence, the Customer Development Process builds in an iteration loop to fix the shortcomings of your business model. Eric Ries, who built on Steve's work, coined this business model iteration loop the Pivot. 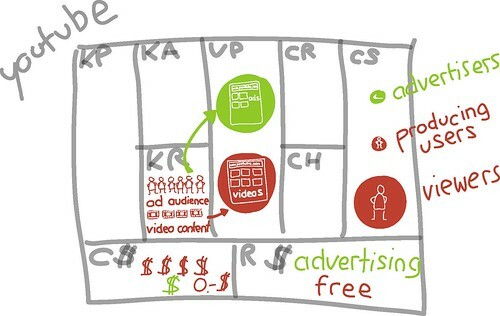 The Business Model Canvas powerfully supports this iteration and pivoting process through visualization and structuring. Steve nicely described this as keeping score of your pivots. Peepoople is just now entering the iterative phase where they are testing business models in Kibera, a slum in Nairobi, Kenya. The challenge will be to continuously search for the most powerful business model and only settle when they found a scalable one. It is probably only after several iterations and pivots of your business model that you will really "nail it" and find the right one. That is when it is time to scale. In the terminology of Customer Development this is called Customer Creation, when you start "creating end-user demand and drive that demand into the company’s sales channel". Only at the very end should you focus on Company Building "where the company transitions from its informal, learning and discovery oriented Customer Development team into formal departments with VPs of Sales, Marketing and Business Development". Unfortunately, I've seen too many companies get caught up in this last (operational) step when they haven't even "nailed" the business model. As to Peepoople, I'm pretty curious to see how the company will manage business model iterations and pivots. It does have a great technology to start with, but only a scalable business model will allow it to have an impact. However, I have great confidence in Karin Ruiz, its CEO. She combines private sector experience, a passion for impact, and the knowledge that only the right business model will allow Peepoople to make a difference in the world. Last week I met with Steve Blank and Ann Miura-Ko at the University Coffee in Palo Alto to chat about Business Model Generation and our upcoming Business Model app for the iPad. It was a real treat. One of the questions Steve and Ann brought up was how to differentiate between users and customers in the Business Model Canvas. Until this chat the question hasn't really preoccupied me, because it has been less of an issue for most of the companies I work with (mainly large multinationals). However, I do see the relevance of the question (particularly in a start-up context in the software and Web space, but also in other spaces). And how couldn't I have an open ear for a point made by one of my entrepreneurial role models and a rising VC star... Steve and Ann suggest separating customers and users into two separate building blocks when describing a business model. I prefer keeping one single building block that captures users and customers. At the end of the day I think we all have to use the representation that we are most comfortable with. However, I do fully agree with Ann and Steve that it is interesting to look into the user vs. customer question (and a matter of survival if you are a start-up with users, but no customers...). After the chat I couldn't let go of the question, so I sketched out some business model examples on my iPad on a flight from beautiful Vancouver back to San Francisco, our family's temporary HQ. This helped me get a clearer picture of the question. The models I sketched out were Skype, Google, Youtube, Flickr, and Sony Playstation. 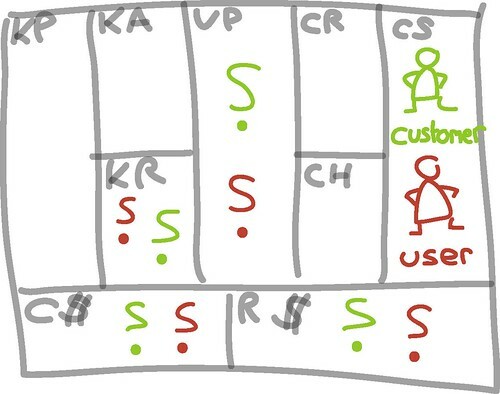 Each business model has a different user vs. customer configuration. I basically see all groups for which a company creates value through a product or a service as users. Customers are simply users who pay for the value that is created for them in the form of a revenue stream for the company. In some cases users and customers are pretty similar, except that one group generates revenues by paying for additional features of functionalities (e.g. Skype, Flickr). In other cases users and customers are distinct groups, where one subsidizes the other (e.g. Google, Youtube, Sony Playstation, government services). Let's have a look at some different business models and their dynamics. Skype is company that allows making calls over the Internet based on its proprietary software. It has over 500 million users. Of that only a tiny fraction are paying customers. However, in this case it is difficult to distinguish between users and customers, because they might be the very same people. For example, I use free software-based Skype-to-Skype calling all the time, but occasionally also buy so-called SkypeOut credits to make calls from my computer to international landline and mobile phone numbers. I am a (free) user and (paying) customer at the same time. Regarding the "free user vs. paying customer question" Skype provides some even more interesting material. Skype's free users are crucial to its success. One might think that the reason is to assure a decent revenue even with a small conversion rate from free to paying users. In fact, that is not the only reason. Skype needs a large user base to assure good calling quality. Every call is routed through the Internet, from one user to another, based on so-called peer-to-peer technology. The more users Skype has, the better the calling quality. In fact, in that regard users are a key resource of its business model. And since Skype manages no network (because of the Internet-based peer-to-peer technology) it costs the company practically nothing to add on free users. Flickr is a website that allows hosting images and videos. Like Skype it has a large number of free users and only a fraction of paying user/customers who pay for advanced features like increased storage space or unlimited uploads. 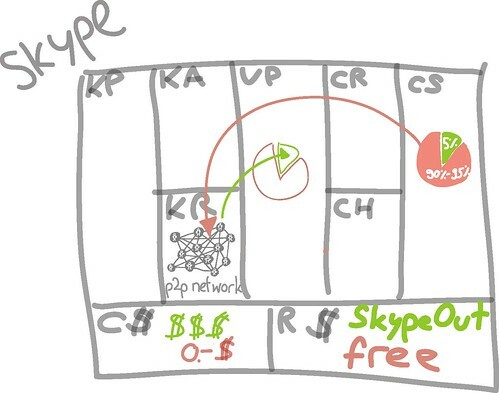 Like Skype this is a so-called freemium business model with a set of free services and paid premium services. 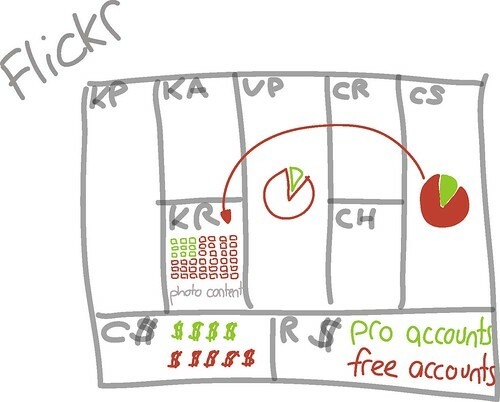 However, different from Skype, people using Flickr usually fall either into the category of free users or paying customers. Another difference with Skype is that Flickr's free users generate costs that the company has to recuperate with its paying user/customers. The free users do, however, add value by contributing to the content on the website. Flickr now has over 4 billion images on its site. Google's core business - search - is another story. In this case (free) users and (paying) users/customers are two totally distinct groups. The free users are the people using the search engine. The paying users/customers are the people buying keywords for search advertising. Both groups of users are offered two totally different services and value propositions. 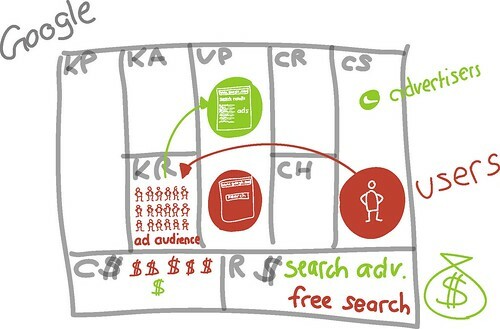 The first service (search) is free and subsidized by the latter (adverting). And the more (free) users Google can attract, the more interesting it is for advertisers. Youtube, the leading video-sharing website which was aquired by Google in 2006, provides another interesting element to the user vs customer discussion. Free users can be split into two subgroups: a smaller group of users who upload content (often their own user-generated content), and a larger group of users who simply view/consume content. The former provide an important resource to the business model - content - to attract the latter. A fifth interesting case regarding the user vs. customer question is the business model of Sony's game console, the Playstation. The users of the Playstation buy their console and in that sense they are customers. However, traditionally Playstation consoles are subsidized in order to make their price more affordable and attract as many users as possible to their game console platform. Sony does this - and accepts losses on selling consoles - because their most lucrative user/customer segment lies elsewhere. It's the game developers, who make the games for the Sony Playstation and who pay Sony a license fee for every single game sold. Hence, the more users/gamers Sony has, the more attractive it is to developers, the more games are made and sold, and the more license fees Sony pockets. In this sense, the user-base is a key resource to Sony and is its value proposition to game developers. There are other interesting models that I haven't visualized. In government services there is also difference between users and customers. We could see beneficiaries of services as users (e.g. regarding grants and contributions) and governments or tax payers as customers (since they foot the bill). A final model I have briefly looked into from the user vs. customer angle is the insurance model. One could argue that in an insurance scheme a large number of customers are paying for a policy in order to be insured against a hypothetical incident. Yet, only a small group of these customers turn into users because they incur the incident and want to benefit from the insurance policy... In this sense a large number of paying customers (who are not "users") are required to "subsidies" a small group of customers who become users based on an incident. During the last few weeks we worked on an iPad app that allows you to sketch out business models and simulate it's viability with ballpark figures. Though the app is still very basic I have no doubt it's going to become a game changer. Now you have the opportunity to be among the first to test and influence the app by joining our Alpha version testing team. Last week we created a new company - The Business Model Foundry - to design, develop, and market a whole new range of software-supported tools that shall help you think through, prototype, test, implement, and manage new business models. The first tool we are working on is an app for the iPad, which will allow you to quickly sketch and simulate business models (as I outlined in my last blogpost). Since this is a totally new tool on a totally new device we decided to test it at a very early development stage already. This sits well with two concepts I recently became a fan of: The Minimal Viable Product by Eric Ries and Customer Development by Steve Blank (who runs one of my favorite blogs). Both stress the importance of testing (software) products and business models with customers at an early stage and developing them in an iterative fashion. However, we thought it would be a bit boring to just give potential customers access to the early-stage software. Hence, we opted for a more innovative approach: For 150.- USD you can join the exclusive circle of the Alpha Testing Team, which will be involved in the development of the BMGEN iPad App. What will you get? If this sounds exciting, please consider joining. Our ambition is not only to create a simple iPad App, but to revolutionize the way innovative business models are conceived and managed. In fact, we are aiming to change the way entrepreneurs and managers work on new business model projects. If you have an iPad, get access to the Alpha test version. And now come and join us in the club of game changers. This promises to be an exciting journey and even more influential than the Business Model Generation Book (which will be is available in retail outlets across the world US in July!!)... Get access to the very first iPad Business Model App Alpha version now. Some of you know that we are working on an iPad app to help entrepreneurs and intra-preneurs develop innovative business models. We decided to do this as transparently as we have for the book. Please join us on our journey and give us your feedback! What kind of future functionality would you like to see in the app? What kind of usage scenarios could you imagine for the app and yourself? What do you think of our price of $29.99 - including free updates for some of the early features beyond the MVP? As you know we really love and value your feedback! Tell us what you think! Energy will be, no doubt, one of the dominating issues of the decade and beyond. That's why I was really excited to discover how Jigar Shah, a 34 year old entrepreneur, disrupted the field of solar energy - he achieved that not through technology innovation, as one might expect, but based on an innovative business model. "The big area for me has always been to come up with business solutions to address global warming," Shah says. "The thing that people have had a hard time understanding about solar is that it's part of the energy business. While new energy technologies come up all the time, technology is not the driver of the energy industry. The driver is the business model: how you get it financed and how you apply traditional risk-management methods to solar and wind and biomass. That to me is the key to solving global warming." A lot has been written on the value of social media for businesses (Blogs, Wikis, Twitter, Facebook, etc.) - some of it relevant, some of it hype. I will limit myself to mapping out three business model areas where social media can have an impact. How can social media enable your customers to contribute to value creation? On the extreme end this means user generated content. Threadless, for example, is a community-based t-shirt company that allows people to submit new t-shirt designs that can be discussed and voted upon on the website. Less extreme example are Amazon.com which allows buyers to review and discuss products, or eBay, which allows the community to evaluate sellers. All this contributes to better value propositions based on customer contributions. How can social media enable your customers to become your best advocates/sales people? Social media is transforming the way companies can market their products and services. The authors of the cluetrain manifesto nicely put this when they state that "markets are conversations". In a nutshell this means that your most valuable sales force is your existing customer base. You will probably argue that this has always been the case. However, what has changed is that we increasingly rely on our friends and peers to make buying decisions - not company marketing. Hence, you must focus on existing customers as channels to reach their friends and peers... And this is where it ties back into the above point: customers that have participated to co-create value are more likely to become your best advocates. How can social media enable your organization to integrate ideas and knowledge from outside its boundaries? Open innovation is a concept that my friend Henry Chesbrough has eloquently discussed in his books Open Innovation and Open Business Models. Social media has given open innovation another boost. It allows engineers to easily reach beyond company boundaries and it allows R&D departments to effectively collaborate with outside scientists across the world. An example that I particularly appreciate is the software company Red Hat. The organization's core product, Red Hat Enterprise Linux, is deeply engrained in the freely available open source operating system Linux. A software which could have never reached its current levels of success without the Internet and social media. The book is actually the reason why I wrote this post. Last week I asked my 2'800+ followers on Twitter to retweet (i.e. pass on the message) that we needed help in promoting Business Model Generation in order to improve our Amazon sales rank. This would help us in our negotiations to sell our self-published book to leading publishing houses. In the minutes and hours that followed 16 influential Twitterers helped us regain a decent sales rank in the bestselling management books on Amazon.com. The reason why people were willing to help us promote the book among their friends and peers is simple. We had 470 people participate as part of the book project - they helped us co-create the book on the Business Model Hub and got their name in the book as a reward. These participants are the best advocates one can imagine. A warm thank you to all of them. I thought this anecdote about how the Web has worked for me might be interesting to you, because this year I am starting to fully reap the benefits of the opportunities that the Web offers freelance thinkers and entrepreneurs like myself. Now I'm not writing all this to brag. After all, the reach of my work is still absolutely small-scale and I still have a long way to go to get anywhere near the impact levels of thinkers like Henry Chesbrough, John Hagel or even gurus like Gary Hamel or C.K. Prahalad. I'm writing this to show that business concepts that stick with users can now reach a global audience without going through the traditional channels like top publishing houses and Ivy League Business Schools. Almost all I think, write and do is available for free on my blog. E.g. most of the slides I present at conferences are available on my blog (with a little time lag). I pay attention to getting my blog well referenced in Google. Try googling the expression "business model innovation". I got my work and thinking referenced on Wikipedia. I posted a video recording of my first well paid speaking engagement online. This led to new speaking engagements because people could see me in front of an audience. I finally succeeded to submit a powerpoint presentation to the "world's best presentation contest" on slideshare.net, after some initial problems with the submission options (they simply disappeared before the end of the deadline...). The term business model is also closely related to innovation. 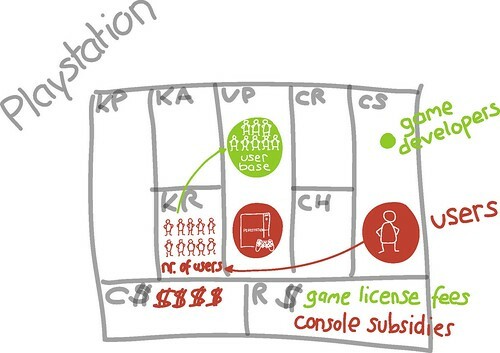 As I mentioned, the business model concept is related to a whole new range of business design opportunities. 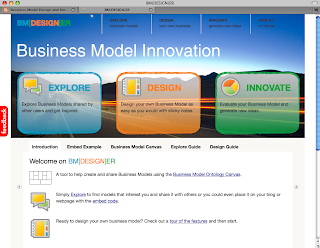 There are examples of business model innovations in each of the 9 building blocks described. The most obvious is innovating in the value proposition. When mobile phones appeared in the market they offered a different value proposition than fixed line phones. In the early days of the Internet popular indexes like Yahoo! helped people find information on the Web. Regarding target customer segments, low-cost airlines like EasyJet have brought flying to the masses. Dell became really successful by exploring the web as a distribution channel. Gillette has made a fortune by establishing a continuous relationship with customers based on its disposable razors. Apple resurged based on its core capacity of bringing design to computers and electronic gadgets. Cisco became famous for its capacity of configuring activities in new and innovative supply chains. Intel thrived for its capacity to get partners to build on its processing platform. Google tapped in an innovative revenue streams by linking highly specific search results and content with text ads. Wal-Mart became dominant by its ability to slash cost throughout its business model. 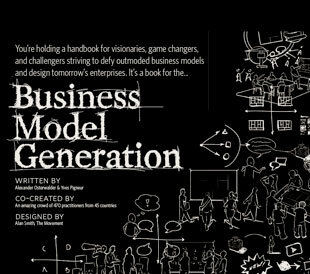 Are you interested in business models and business model innovation? Do you wonder how this topic will impact you, your company and your competitive environment in the future? Then you should participate in this web seminar. It will introduce you to the fundamentals of business model thinking – a topic that is still too often poorly defined. 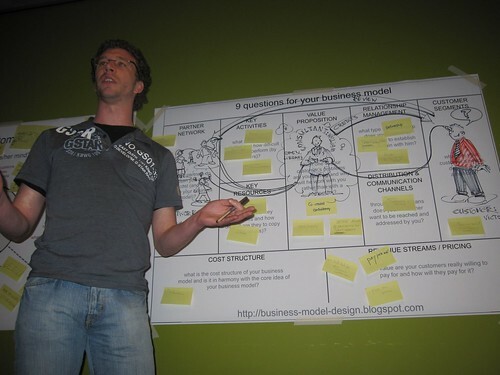 In this web seminar you will learn why business model thinking is so important today. You will see how innovative business models are disrupting the airline and music industry. This is likely to challenge you to reflect on the consequences for your own company and industry. To facilitate this reflection we will learn how to use the Business Model Canvas. This approach will allow you to easily sketch out your own and your competitors’ business models. Throughout the web seminar we will use interesting and innovative cases from various industries to get a better grasp on the topic of business model innovation. 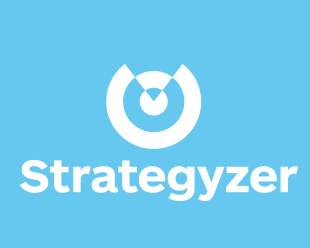 Managers, entrepreneurs, intrapreneurs, business strategists, consultants, academics, venture capitalists. In this introductory seminar we will not go into depth regarding the business model innovation process inside companies. This particular topic is reserved for a future seminar focusing on just that. Similarly, we will not go into depth as to business model assessment, which is also reserved for a future seminar. However, we strongly recommend that people interested in the special-topic seminars scheduled at a later date, follow the introductory web seminar. The web seminar will consist of a one hour lecture by Dr. Alexander Osterwalder based on a set of PowerPoint slides. It will be followed by a question and answer session. Within 24 hours of your online registration and payment you will receive an url by email that will allow you to access the web seminar. You will receive a reminder email the day prior to the event including the url that gives you access to the web seminar. The session will run on the webex platform by Cisco. For cancellations received more than 48 hours prior to the start of the seminar, we will deduct a US$50 administrative fee and refund or credit the remaining fee. There will be no refund or credit for cancellations received less than 48 hours prior to the start of the online seminar. All cancellations or substitutions must be received in writing.